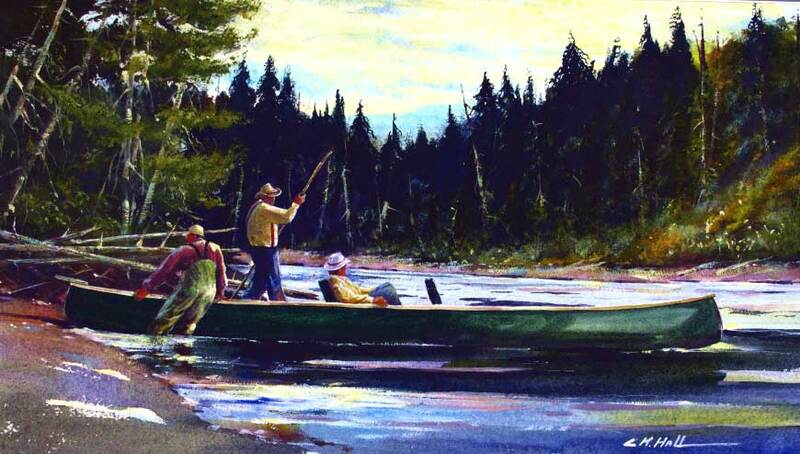 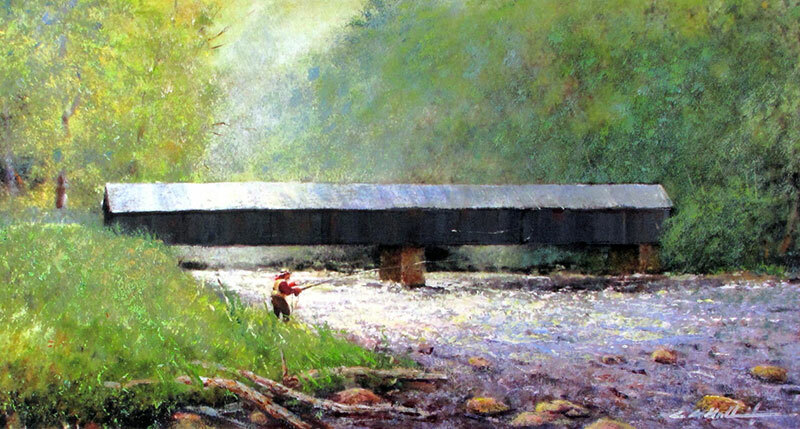 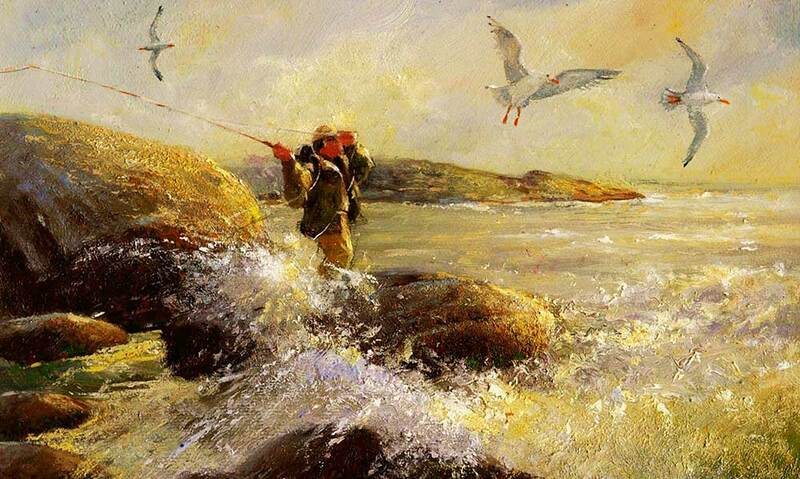 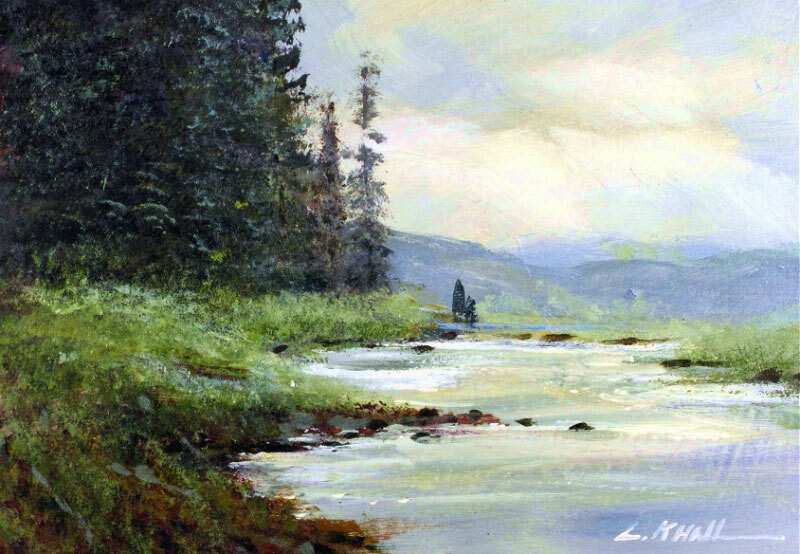 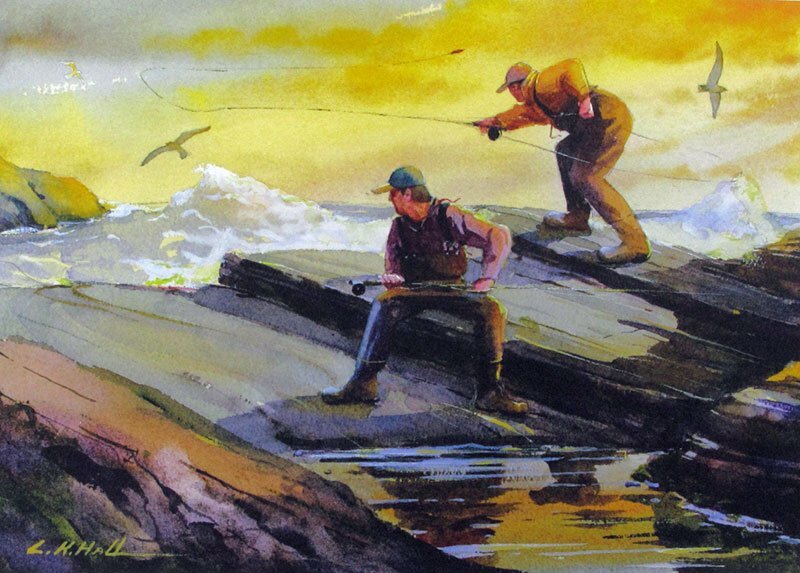 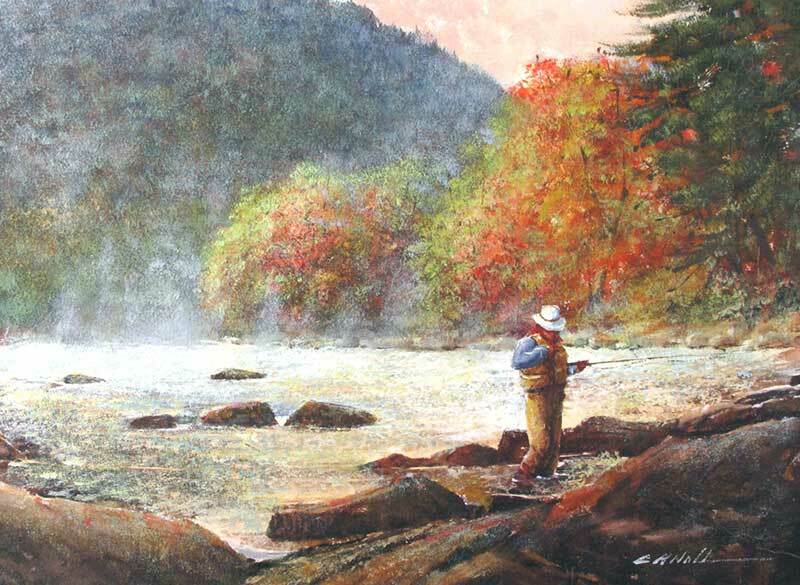 The fly fishing experience — from the rugged, windswept drama of Atlantic coastal striper fishing to pastoral Pennsylvania limestone spring creek scenes — is the focus of Luther Kelly Hall‘s oils, acrylics and watercolors. 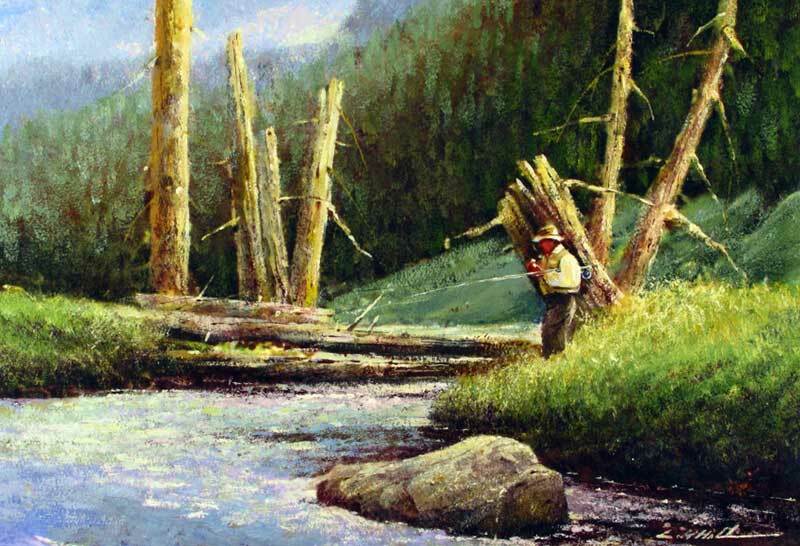 Hall uses color, light and design to recreate the essence of his angling experiences. 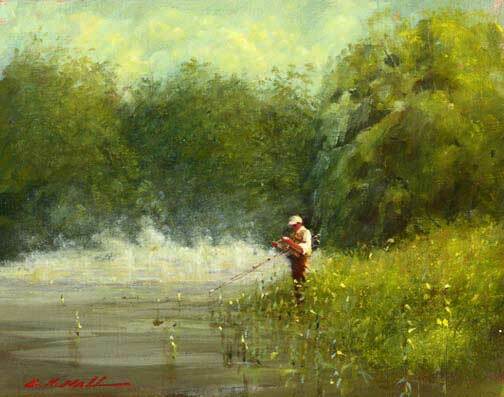 You can see more of his art on his Web site, www.lutherhall.com.